The custom gesture on iPhone amazingly improves your device functionality. 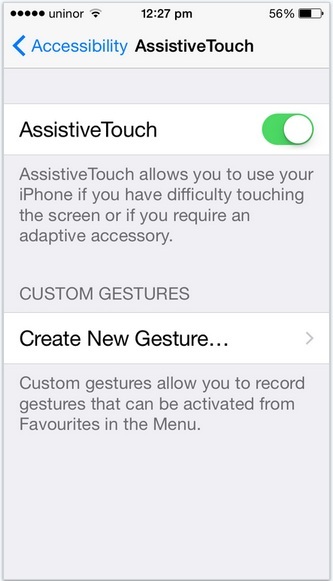 Apple has given a slightly different way for Remove/ delete custom gesture in iPhone, iPad from accessibility setting. If you don’t know about custom gestures how work? So custom gesture will compress your task or makes easy your job. By single tap on the screen you can close the app, Swipe web page in your Safari browser, But after so many attempts for testing purpose, are you worried about how to delete or remove custom gesture in iPhone, iPad. You might like this: Best iPad Bluetooth keyboard for easy & secure access device. Step 3: Now, Tap on Accessibility. 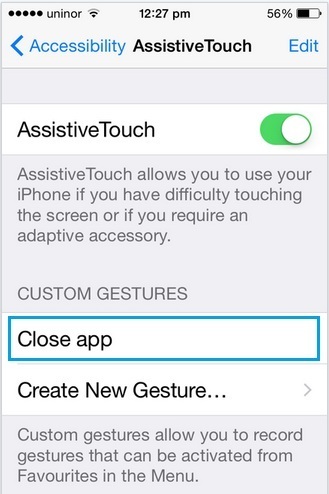 Step 4: Move down, and under the interaction section, you will find the Assistive Touch option. Just tap on it. Step 5: you can see all old created custom gesture in the list, now delete or remove Slide left named tab. To Add New Gesture, Tap on Create New Gesture and Record your multi-fingers movement in New gesture then use it for access app like Mail, Safari. Then you can see “Delete” red button. Note: Once you delete you will never restore old custom gesture on your iOS device, so make sure before delete custom gesture in iPhone or other devices. Without a complete understanding of the custom gesture, you will not use this remarkable feature. Using this feature, you can open notification center and call Spotlight search. Quick Type: Enable Quick types to feature by swipe up or disable by swipe down. Now you can create hundreds for different gestures for maximizing your creativity on the iOS device, have you any confusion about creating and use custom gesture and Delete custom gesture in iPhone, iPad and iPod touch on latest mobile OS.